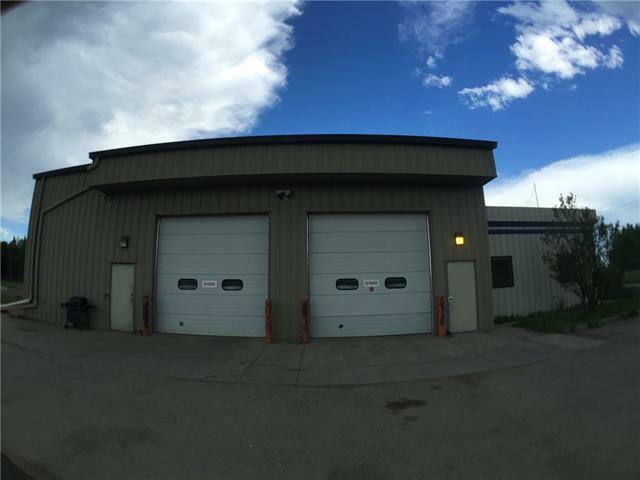 For Lease:One Industrial Shop/Office Building and One Warehouse Building on 3.83 acres on Highway 27. The location provides great highway exposure andvisibility. The property is secured by chain link perimeter fencing. The two bay shop with two repair rooms is 2750 sq.ft. built in 1990 with vaulted ceiling gradually increasing from 16 feet to 20 feet which provides for some mezzanine storage. The Office is 1690 sq. ft. has 4 offices , a board room,1-3pc bathroom. The adjacent shop/warehouse is 1152sq. ft. The lease is $5500 per month plus triple nets and includes the fenced yard.The land and buildings can also be purchased.